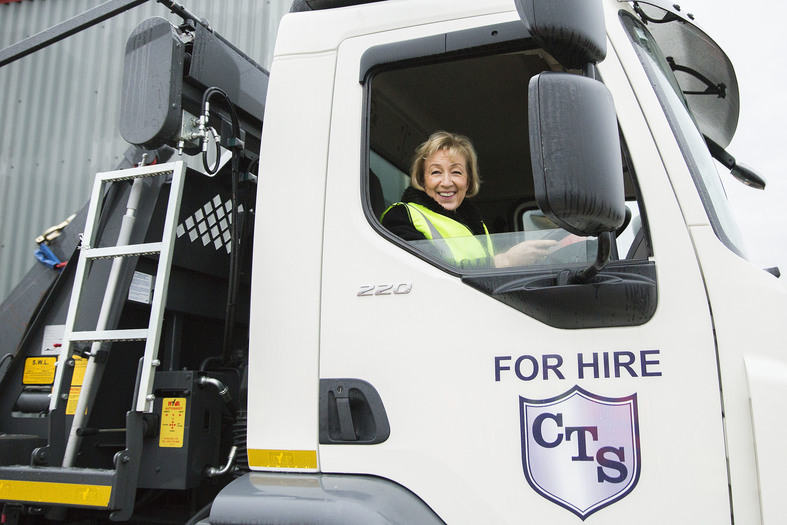 ON Monday 12 December The Secretary of State for Environment, Food and Rural Affairs, The Rt Hon Andrea Leadsom MP, paid a visit to the new Collett Transport Services’ (CTS) depot in Brackley. The new premises at Boundary Road West, Buckingham Road Industrial Estate, Brackley are equipped with a five-bay workshop and will provide a base from which vehicles will be collected, delivered, maintained and serviced, to enhance CTS's nationwide service. CTS is part of Northampton-based contract hire and fleet management company Specialist Fleet Services Ltd (SFS). Bob Sweetland, Managing Director, SFS and senior representatives from its parent company Paragon Bank joined the team at CTS Brackley including depot manager Allan Robinson, to meet the MP and share the company’s plans for the future.